I can't believe this moment is FINALLY here (showing you my blonde hair - LOL - jokingggg)! A few months ago I dreamed up a collection that I felt was 100% me, 100% fun and comfortable and colorful and a bit daring, but still classy.. a collection that came from my heart. 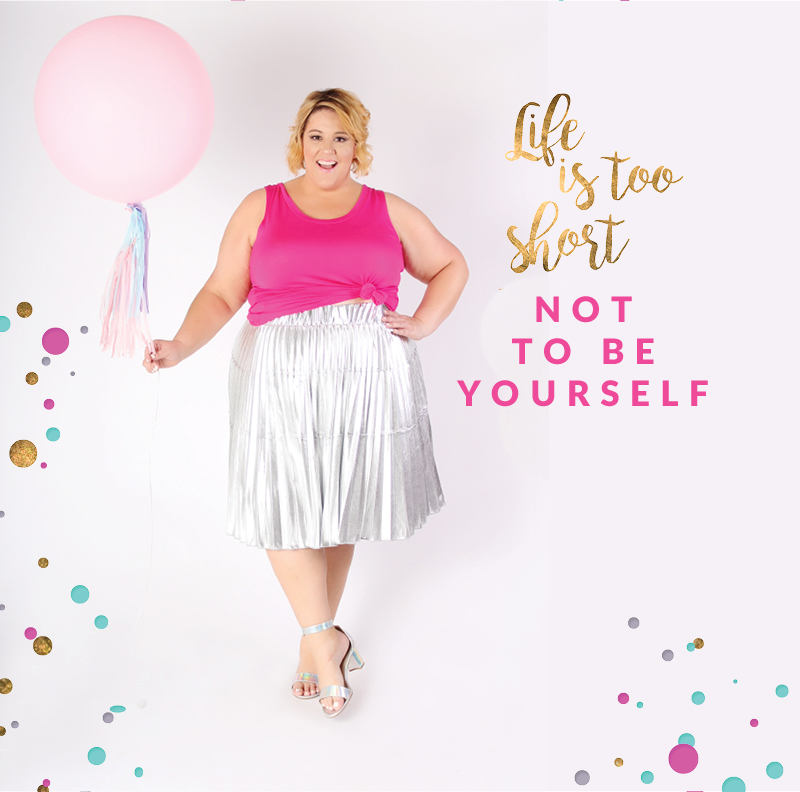 It just so happens this collection is launching today on my 36th birthday! So, I'm bringing the party and presents to YOU as a thank you for all the support you have shown me. I hope you get a chance to embrace the sparkly and fun part of your personality by wearing a Jessica Kane original! Outfits in sizes 14 to 32 with true to size guarantee.